Floating, Aluminum & Plastic Fly Boxes. 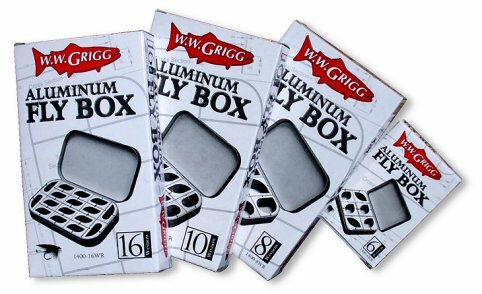 W.W. Grigg Aluminum fly boxes are tough. 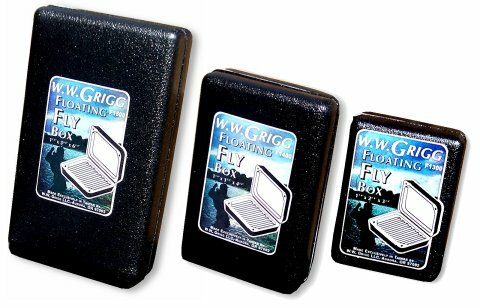 The 1400-16wr is the ideal dry fly box with 16 compartments and a high density foam inner pad. The 1400-8wr works great for carrying nymphs. Our F-Series fly boxes are great for two reasons. They weigh nothing (almost) and they float.